Bolivia is landlocked, mountainous, high altitude - and in February it happens to be pretty damn wet. Even still, nobody can convince me to go elsewhere. Tucked away in deepest South America, few travellers arrive in Bolivia by chance. I’m reminded of this each time I’m queried, “What brings you to Bolivia?” - not by the locals, but from fellow travellers. It’s as if we are all ‘in’ on the secret but everyone wants to know who gave it away. 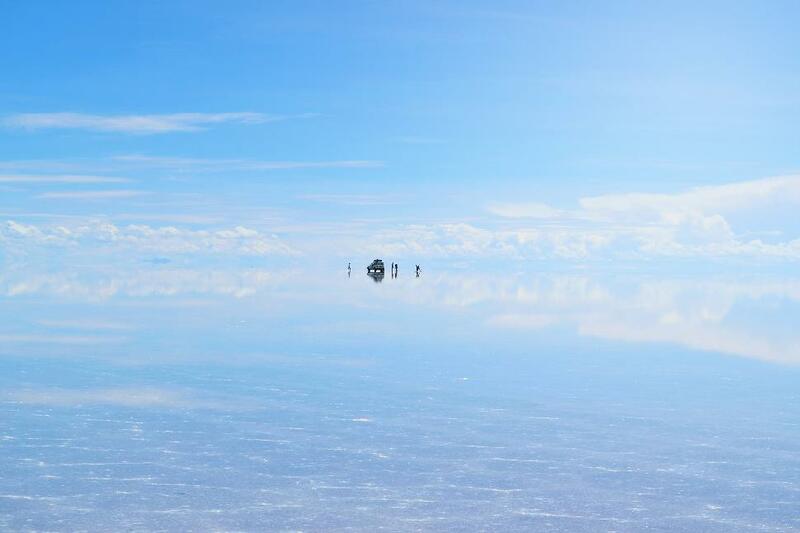 My husband and I have come to Bolivia to lose ourselves in Salar de Uyuni’s dreamscape. At 10,582 sq. 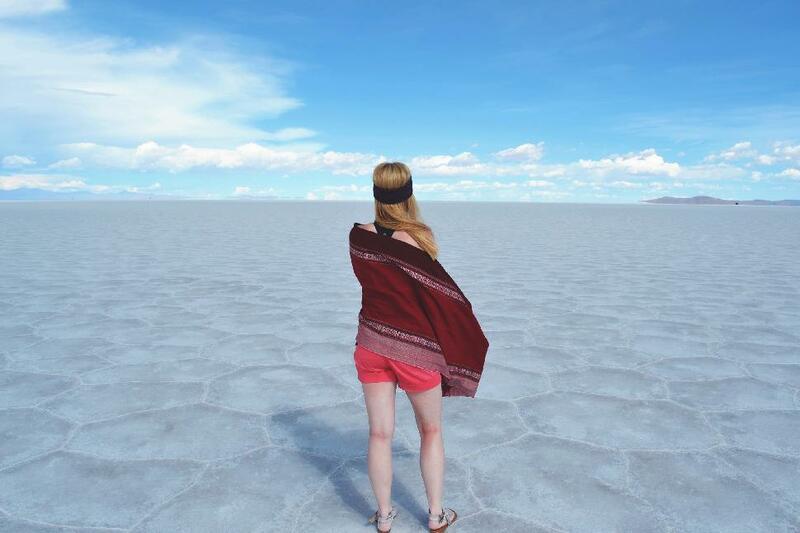 km, Salar de Uyuni is the world’s largest salt flat and during the wet season a phenomenon nothing short of magical occurs. Most travellers have come for the same reason. 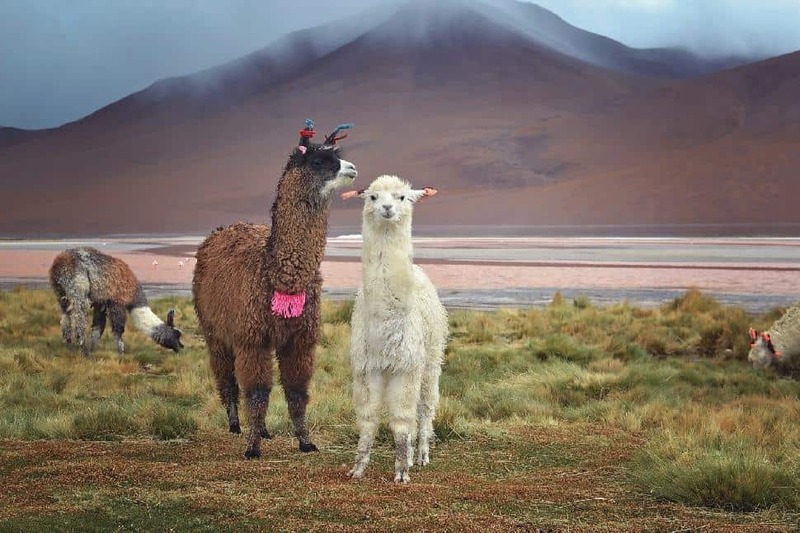 But what my husband and I aren’t expecting is that Bolivia has big plans to romance us, and she’ll do so with a string of intriguing oddities and otherworldly beauty. 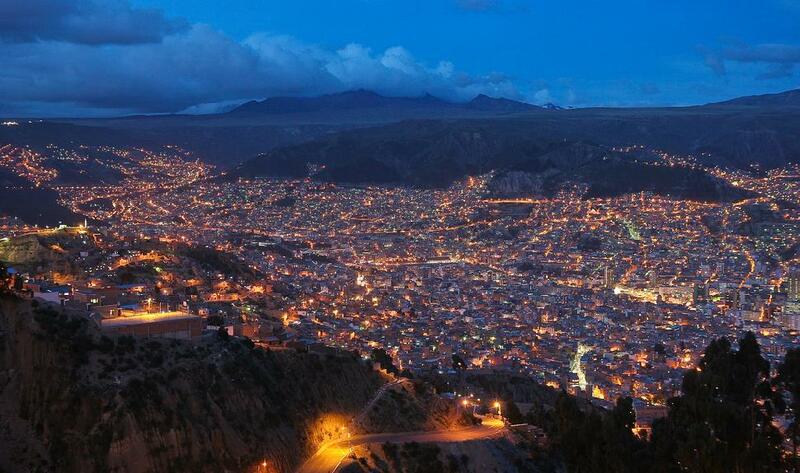 Our great journey starts in La Paz, which I have only recently learned is not Bolivia’s capital. Fancying myself as something of a geography whiz, I feel a bit hoodwinked by the revelation. 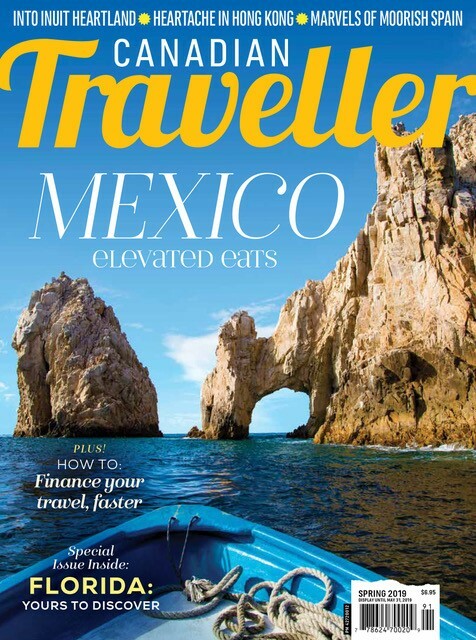 Competing capitals – Sucre being the official capital while La Paz is the administrative – is just one of this country’s many quirks. Another is perfectly epitomized by the clock face of La Paz’ Congress Building. No, the heady 3,650-m altitude isn’t affecting your vision: this timepiece really does indeed tick counter-clockwise. You see, Bolivia demands that even time marches to the beat of her own drum - and that is something that I like very much. We check into Hotel Osira where we will join our 12-day Bolivia Highlights tour with Intrepid Travel. I ascend the stairs to our third-storey room, straining against the altitude. I’m ecstatic to learn my hotel window overlooks the notorious San Pedro Prison, something that only fans of the novel Marching Powder may appreciate. Only in Bolivia could unofficial prison tours become fashionable for the foolhardy. Later in the evening, we greet our 10 new travel companions. 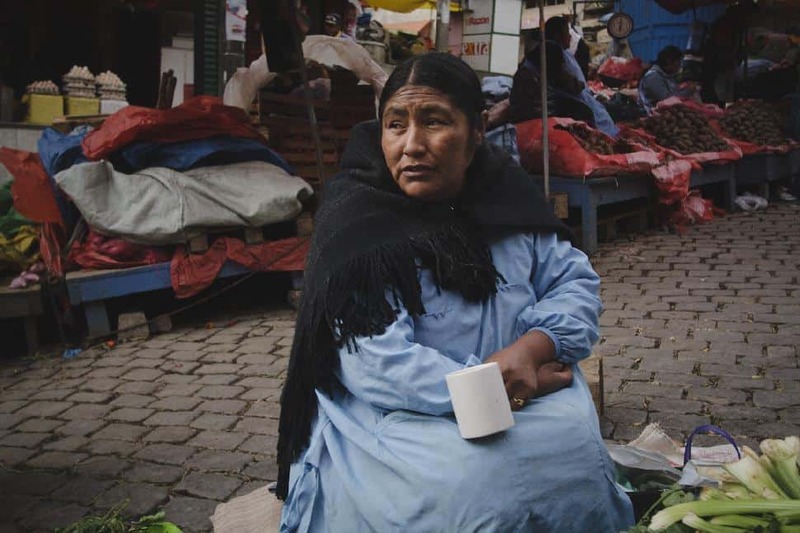 Our tour leader, Julia, is soft-spoken with kind brown eyes and long hair that she keeps beautifully plaited, the style de rigeur for Bolivian women. And my heart smiles when I meet Joe and Lois, a duo four decades our senior whose globetrotting moxie insists upon admiration. Our day ends on Calle de las Brujas, at La Paz’ famed Witches Market. I don’t know what to expect but the name itself begs intrigue. Mostly there are remedies for ailments: idols for fertility, herbs for impotence, and Ekeko figurines for prosperity. There are more aphrodisiacs than I can count and not a sorceress in sight. Superstitious? Yes. Occult? No. On second thought though, that depends whether you find the shriveled llama fetuses that line the street macabre or not. “This is typical of Bolivia” Julia explains. “They will bury a llama fetus in the foundation of a new building to ward off accidents.” Oh my Pachamama. The next morning we drive south from La Paz, our heading fixed on Uyuni. It takes the greater part of a day to get there, but the Altiplano pacifies us with spectacular scenery. 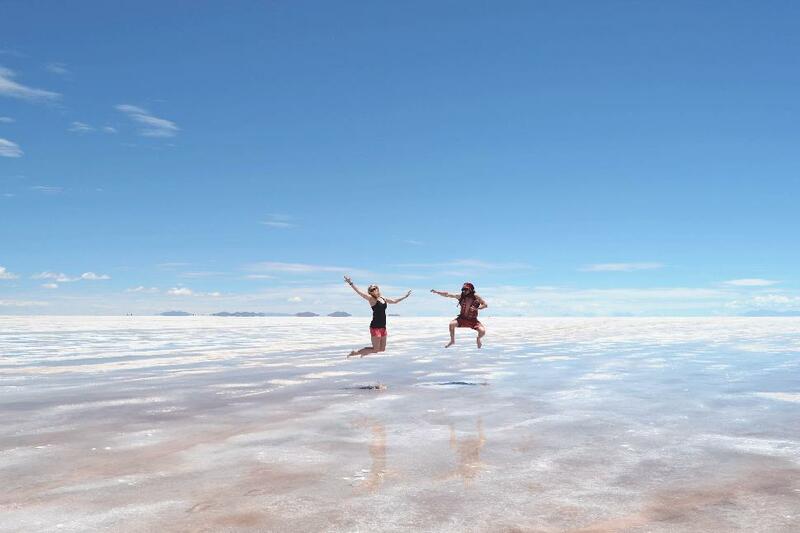 We blow into Uyuni which is a dusty outpost with a Wild West feel to it. 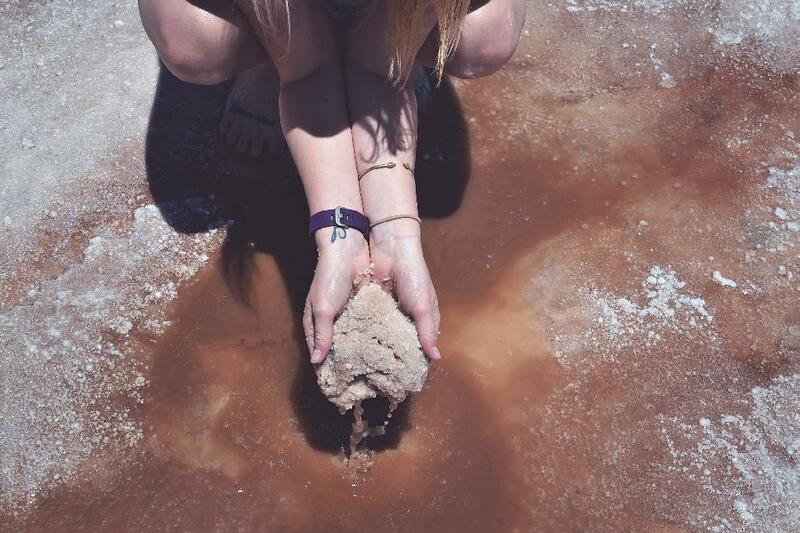 Truth be told, most travellers here are simply transiting through, en route to the salt flats. 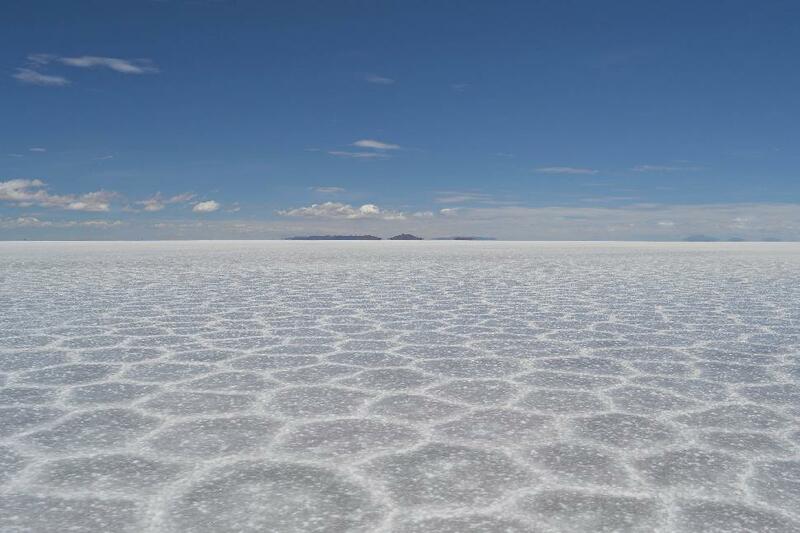 As such, Uyuni suffers the criticism most gateway towns face when their charms evade tourists. I don’t pay much heed to these travel critics though, because tomorrow is a day I’ve wander-lusted after for years. By 9 a.m. we pile into 4×4 Land Cruisers, six people to each vehicle. We start for the salt flats but first, we make a ghostly diversion; one I’ve been anticipating because it’s decidedly peculiar. A collection of rusting trains may sound more ‘industrial wasteland’ than ‘travel highlight’, but Uyuni’s Train Cemetery has become an irrefutable attraction. History tells me they’re relics of past prosperity, but my imagination keeps turning to Mad Max. I soak up the air of apocalyptic abandon and then I shrug off all my adult sensibilities, scrambling in and on top of the sandblasted locomotives. 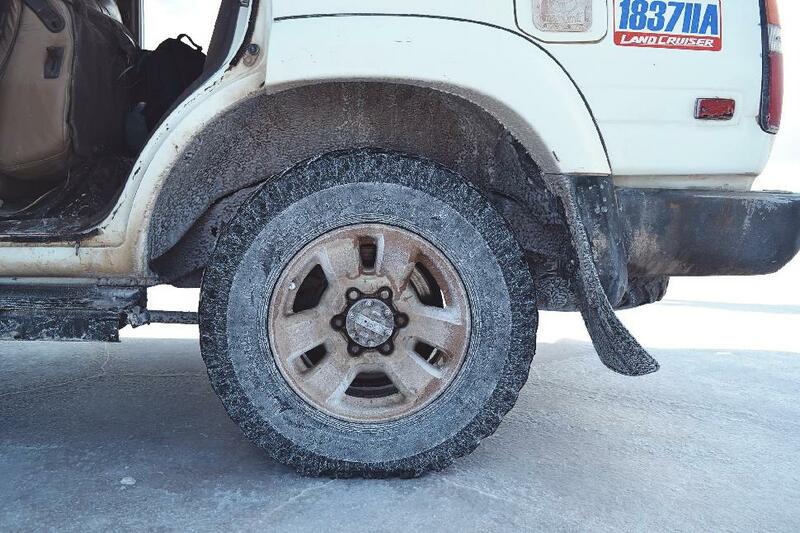 A short while later, our vehicle reaches the lip of the Salar. The moment has arrived. We crawl onto it and then speed into the blinding white nothingness of the pan. The horizon wraps around us, void of any route markers. 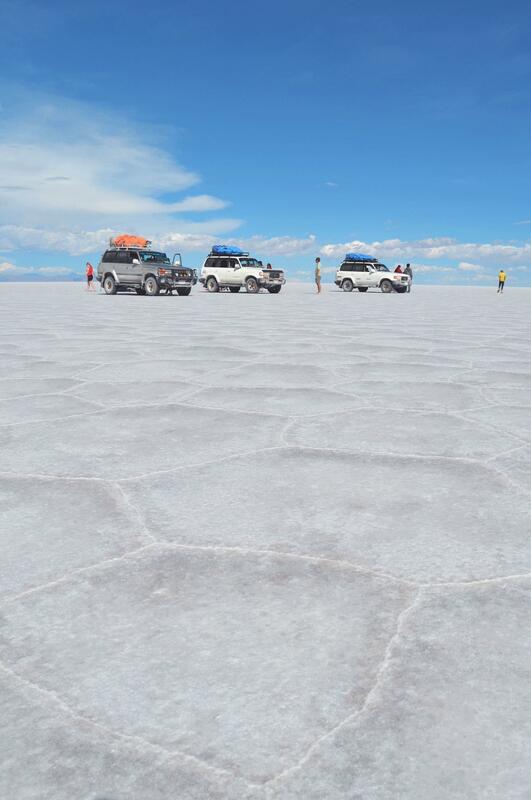 The hard ground is decorated with hypnotizing hexagon tiles, a result of crystalizing salt. We’re looking for water but the flats are uncharacteristically dry. Half an hour later we spy a small collection of jeeps far off in the distance. Is it a mirage? We change our heading to investigate. As we speed closer, the collective mood inside our vehicle lifts. Eureka! We’ve found water. We drive farther into the flooded pan and the mysticism of the Salar reveals itself. Cotton clouds and the azure sky reflect in the shallow layer of water that covers the flats. The effect is ethereal: the sky envelopes everything and the horizon is near imperceptible. Without the horizon we appear to float weightlessly among the clouds, suspended in the heavens. This optical illusion is our playground and in our whimsy, we spend hours snapping perspective-defying photos. Our bucket list day ends at an off-the-grid abode constructed of salt. The rooms are modest but the silky granules of salt blanketing the floor feel luxurious underfoot. I fall asleep high on the realization of my dream. The next day take us to what feels like the ends of Earth. Our journey brings us south to the Bolivia-Chile border. From here it’s just a stone’s throw to Chile’s famed Atacama Desert, a location that has stood in for Mars on the silver screen many times. We overland into the empty desert, travelling for hours at a time without meeting any oncoming traffic, save for a caravan of llama. Our Land Cruiser crawls, groans and tilts precariously along washboard tracks and the lonely landscape is a kaleidoscope of barren mountains, sentinel volcanoes, and lakes painted in milky hues of blue and red. We encounter snow which takes even Julia by surprise. And just when it seems like we are entrenched in a completely inhospitable environment, we’re greeted by a peculiar sight: high-altitude flamingos. Yet again, Bolivia proves herself to be a mistress of surprise and delight. It’s an hour before dawn on the last day of our off-road Altiplano excursion. 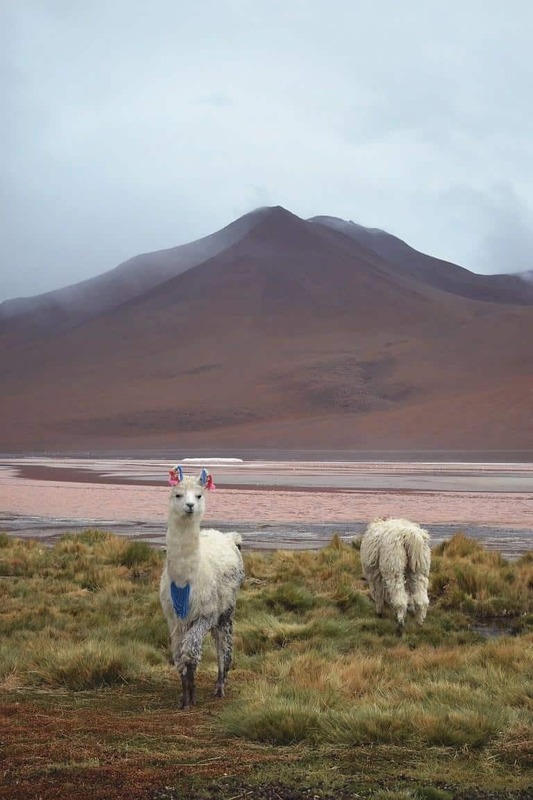 I emerge from the lodge, which is buried deep in Eduardo Avaroa Andean Fauna National Reserve. Drivers scurry about, chewing cocoa leaves as they load up the trucks. I stare at them with sleep-filled eyes when a fellow early bird nudges me and nods skyward. I crane my neck back to find the Milky Way splashed across the inky sky. I’ve never seen it radiate so majestically; I feel as if I’ve never truly seen a star until this moment. The temptation to grab my camera nags at me, while another part of me is compelled to stretch out and run my fingertips through the supernatural brilliance. It’s so sublime I do neither. If there’s one thing I’ve learned about Bolivia thus far it’s blink and you’ll miss it. 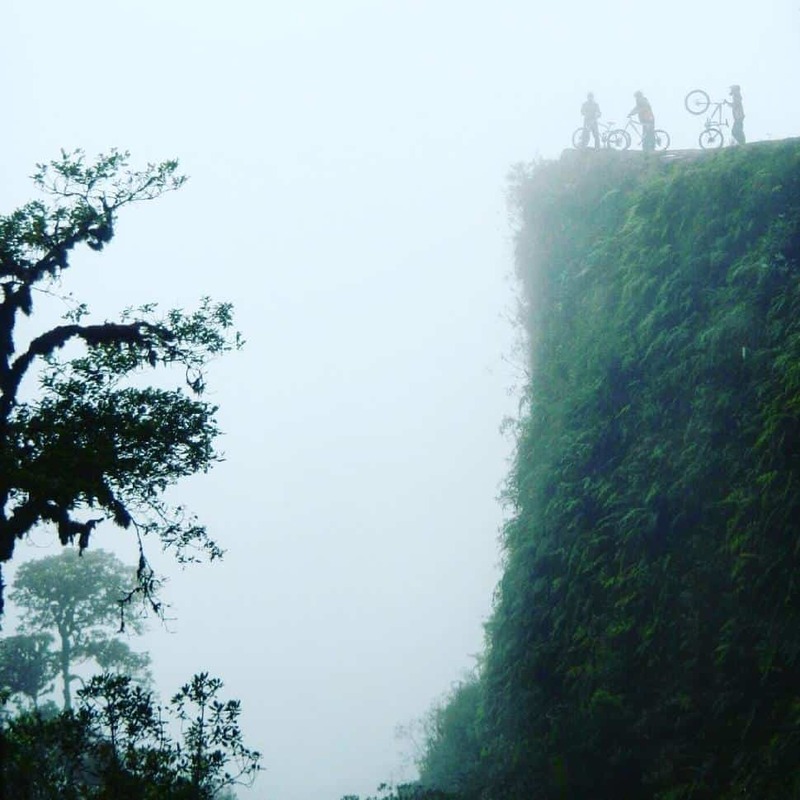 More irresistible highlights: cholita wrestling in El Alto, 5,000 68-million-year-old dinosaur footprints at Cal Orck’o, biking Bolivia’s Death Road, lounging on Lake Titicaca’s celestially named Isla del Sol, and exploring Amazon Rainforest near Rurrenabaque. The dry season runs May to October which is the best time to explore the rainforest. Wet season extends November through March and offers the best opportunity for reflection on the Salar. Tourist visas are not required for Canadians staying less than 30 days. At $1.00 CAD = 5.25 BOB Bolivia offers Canadian Travellers great value. 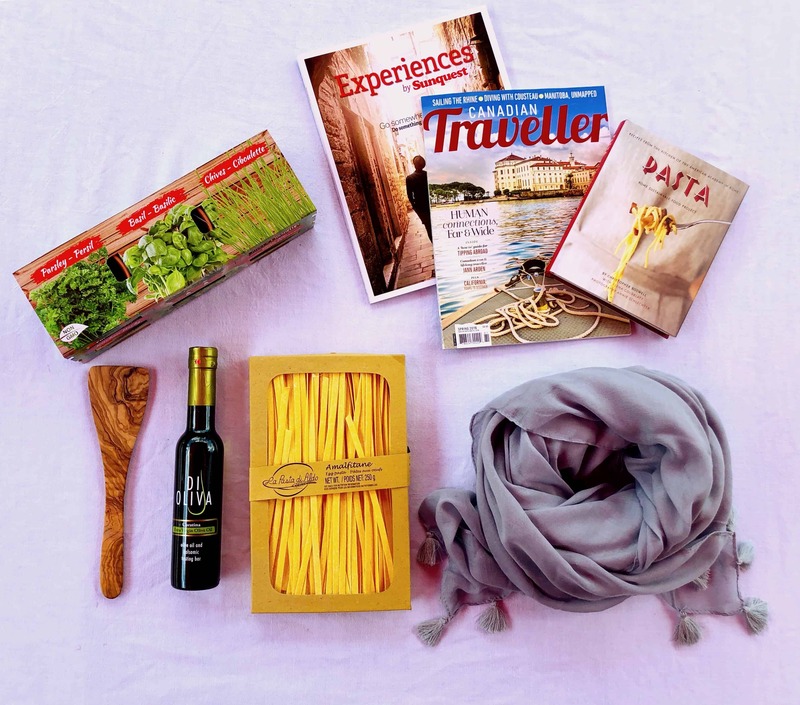 A five-course set lunch is as inexpensive as 30 BOB while an entrée and bottle of red wine in a fine restaurant runs about 190 BOB. Pick up an alpaca-wool blend sweater for 80 BOB or a handmade tapestry for 320 BOB. 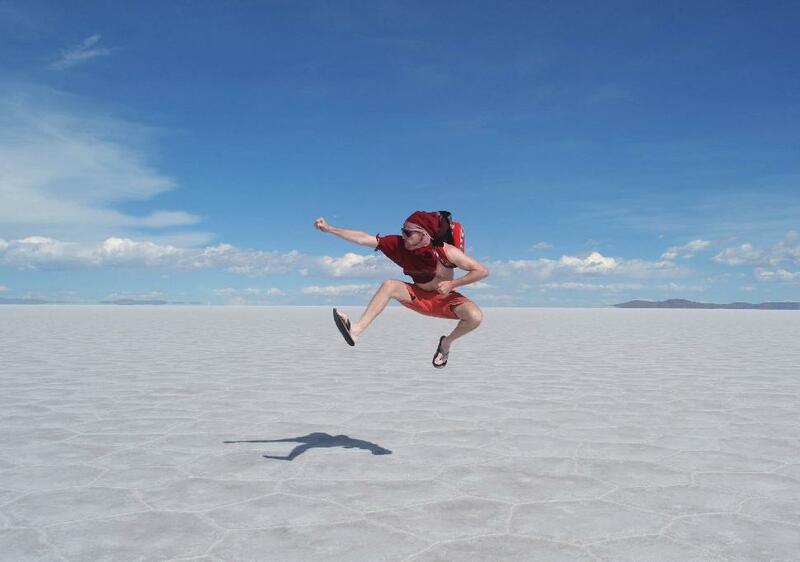 Our writer travelled Bolivia with Intrepid Travel. The 12-day Bolivia Highlights itinerary starts at $1,875. Visit intrepidtravel.com for more information. Have you been Bolivia? 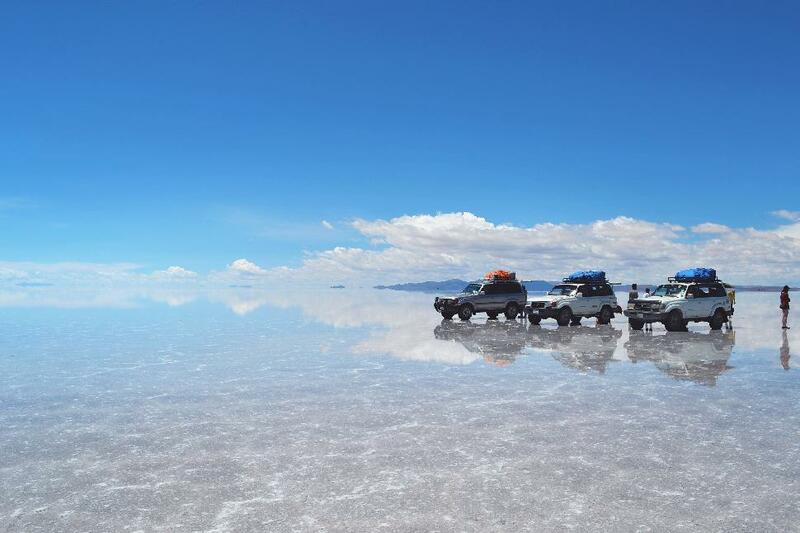 Is Bolivia on your bucketlist?